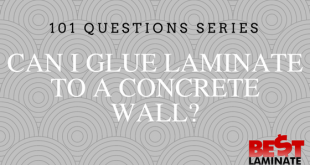 Is Laminate Flooring Fade Resistant? 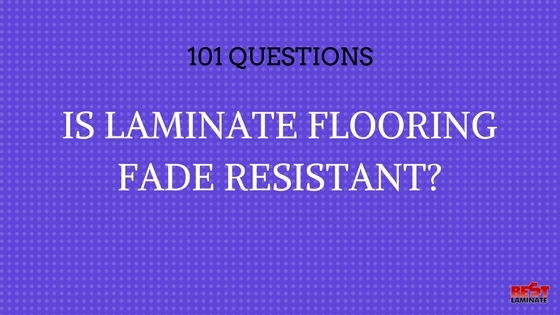 Home >> 101 Questions Series >> 101 Laminate Flooring >> Is Laminate Flooring Fade Resistant? As you may know, hardwood flooring can fade overtime with exposure to sunlight. Since laminate flooring is an engineered flooring, you might be wondering if laminate flooring is fade resistant. Yes, Laminate is Fade Resistant! Most laminate flooring is more resistant to fading due to the aluminum oxide coating on the top layer of the laminate. This layer prevents fading from exposure to a light to moderate amount of sunlight. Be aware that after a large amount of constant and intense sun exposure, discoloration can still happen. If you have large windows that allow intense sunlight in for long periods of time, consider using rugs or drawing the shades during those times to avoid fading. Learn more about laminate flooring construction and durability here.